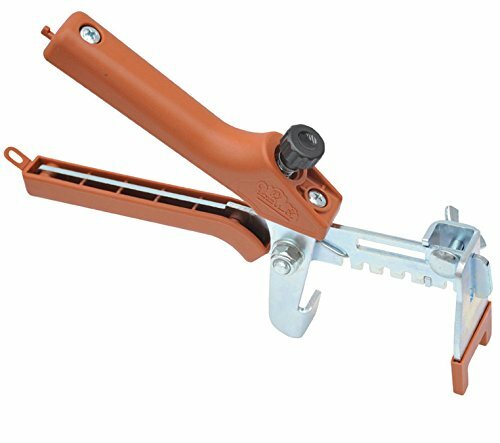 Tile Leveling Clips (96-Pack) are part A of a two-part installation system engineered to level, align, space, and hold large body porcelain tile, marble and stone during installation. This part of the system works by automatically aligning and spacing tiles. The wedge part B of the system (sold separately) works by maintaining tiles at an even height until the mortar sets, thereby ensuring the resulting surface is level and free of lippage. The system is used by professionals to save time while providing level and consistently spaced results. When installing tiles, marble or stone, Tile Leveling Wedges work together with clips (sold separately) to ensure level tile surfaces with no tile to tile lippage. Wedges are part of a 2-part Level-Align-Space-Hold large body tile installation set (spacers sold separately). Wedges can be reused for multiple tile installation projects.